Self-directed learning can be challenging, even for the most intelligent or motivated learner. Being able to self-assess and self-motivate are not in every person’s repertoire of qualities. However, it is possible for everyone to cultivate a better learning process. Review the following 5 elements to begin your own self-directed learning process today. 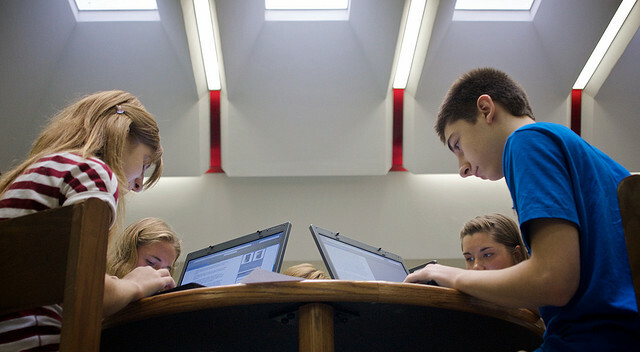 How Does Technology Enhance Teaching and Learning Amount to Student Success? Technology has touched the realms of education to a great level. Teaching and learning have attained heights of success with enhanced technological tools. Every teacher, who is technologically sound, feels proud on the date that his knowledge can reach many students in a perfect and flawless manner and the student also feels good about the acquisition of real education on his part. This is due to the tools like e- readers, tablet computers, digital textbooks and digital videos of the day. More advantage is added by tutoring online with its convenient time structure and accessibility. With exams on hand, students may feel flabbergasted and need proper guidance for succeeding in their exams. Following are a few tips that help students ace their subjects and show up bright performances. Regular study schedules: Organizing the study material and following a planner is the secret of success in exams. Creating one’s individual study material: With the resources available on hand, one can create a study material which is unique and individualized. You can make your own with the help of lecture notes, online videos, flash cards and references from friends. Following the study material in a systematic manner: Getting the best scores in exams is mainly due to proper revision and staying focused during learning sessions. Feeling positive and confident: Systematic revision makes one feel confident and positive about exam taking. Using emotional intelligence: More than academic intelligence, emotional intelligence plays a key role in exam hall as it helps students lessen the stress level and face the challenging questions with a balanced mind. Taking study breaks: Continuous learning weakens the memory. Taking breaks and indulging in some healthy hobbies reenergizes the mind and helps storing the information in mind without fail. Eating and sleeping well: Poor health without good food and sleep leads to physical weakness and mental strain. Sufficient sleep is essential for keeping the brain alert while collecting information. Revising at short intervals: Learning is a long process and human mind forgets very often. To reinforce the study material, one needs to revise at intervals and assess his progress in learning and accumulating knowledge. Taking mock tests: Practicing mock tests helps a student understand the pressure he undergoes while attending the real exam paper. It also helps him set his timing for the paper and the way to answer questions. Seeking external help: In case of doubts, students should not hesitate to get help from external sources like online tutoring centers. The tutors come handy for last minute clearances of doubts and they are available at any time. Follow the above mentioned tips to succeed in your exams. How An Iphone Can Help You In Exams? As the popular feeling goes, if you don’t have an iPhone, you simply don’t have an iPhone! It is not an extremely handy and suave device; it is also pretty helpful for students. Wondering how? Well, there are numerous study oriented apps and apps for revision that are available in the App Store and these are extremely popular amongst the student fraternity. In fact, even experts offering online tutoring services recommend these apps for they are very helpful during revision time. Here is a list of some of the most popular apps on the IPhone; read on to learn more. It is one of the most popular apps for taking notes; it uses voice recognition and converts the spoken words into text. Available free of cost, this interesting app also allows users to share notes via social media and SMS. This app lets students create quizzes, index cards, flash cards and even create online mind maps. Since all of these are extremely useful during revision, this app is very useful for preparation during exams and is rightly named so. A very widely used app by a variety of different universities, Blackboard allows access to the coursework, timetables and notes posted by the faculty and so on. However, a student can use it only if the professor is using it. A student requires reminders, alerts for notes, notifications and work schedules in order to prepare well for exams. iStudiezPro is an excellent app for organizing and managing one’s schedule and students prefer this app during revision time to track and manage their study schedule. A wonderful tool for self discipline and control, this app provides an innovative solution to the problem that plagues every student: hitting the snooze button and delaying getting up. Not only does this app help students get up on time, it also helps keep them active and alert since early in the morning. Hectic academic schedules do take a toll on one’s health and students neglect exercise or any brisk activity. Studies show that these keep the mind alert and are very much refreshing. SworKit is an interesting app that lets one create small workout or activity programs for 5-10 minutes so that fitness can be incorporated even amidst tight schedules. This app as the name suggests helps with revision – video/audio support, notes, and flash cards and so on. Exclusively available on the app store, it has over a million revision notes and study tools. True to its name, it helps students work with large volumes of study by breaking them down into smaller chunks. This is one of the best visual learning techniques and is useful for slow learners and students with dyslexia. Thus, the iPhone is a great source of exam help for students whether it is for preparation or revision. With numerous apps to help students with getting up early, keeping active and fit, making learning fun, taking notes and sharing them, the iPhone is indeed the best source of help a student can look up to during exams. How You Can Effortlessly Complete Your Homework in Less than Hours? Yes, you are breaking your head over homework, assignments and oncoming tests. You need a way out and are groping in the dark knowing not what to do. Circumstances like this are very common in student life and how to brighten your academics with proper support is what you need to search for. Homework especially is a strenuous work giving you marathon sessions and making you shriek with fear on seeing the bundle of homework tasks that await your sleepless nights. In the modern life, you seek things that lessen your stress in various aspects of life and education is no exception. Why not try online homework help and see the results for you? 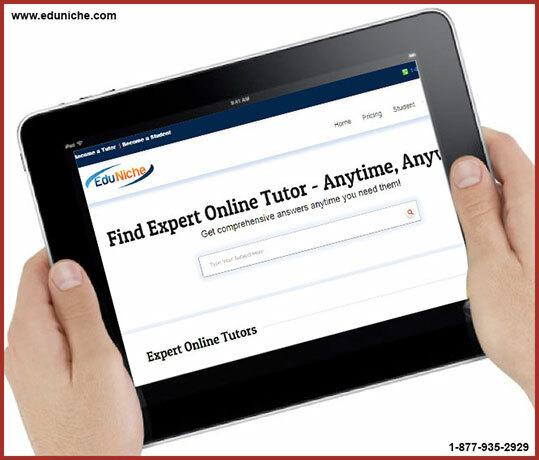 EduNiche presents the best virtual help for your tough homework material in Math, Science, English and Accounting and various other subjects. 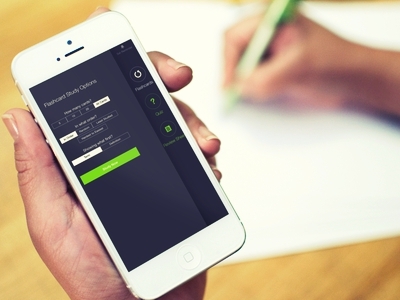 Do you know the secret of effortlessly completing your homework in less than hours? Contact an EduNiche tutor online. You can chat with him, mail him your homework requirements or text message for your subject details. You interact with him in an online classroom stating your doubts or call him on Skype to discuss your homework matter. The result is all yours. A puzzling sum in Math, intriguing topic in Chemistry, brain teasing problem in Physics are easy to do through the effective tutoring and timely help of EduNiche tutors. You complete your homework with clear knowledge, unique insights, and strong conceptualization and with a review of your basic skills. Online tutoring from EduNiche is par excellence for the benefits you reap out of it. You access tutors through cloud based technology, gain personalized tutoring in the best online environment which is safe and effective, get expert tutor help for tests and projects and complete your assignment and homework on time without delay and struggle. Now you have learnt the secret of completing your homework effortlessly in the hands of EduNiche’s online tutors. Carry on with your secret and earn great scores that pave way for your successful future. Virtual tutoring has become part and parcel of every home and just as taking breakfast and dinner, seeking e-tutoring help for each and every aspect of learning has become a regular course in life. 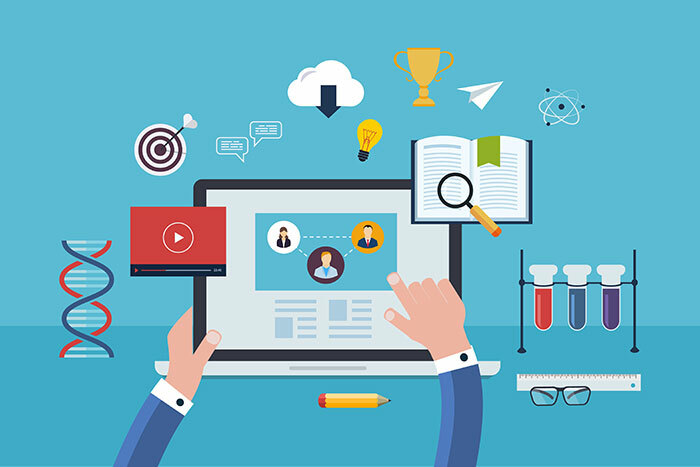 But for the fact that there are some unique features in online tutoring that makes this system acceptable for all people, one cannot account for the popularity of this system. Understanding the underlying common facts that make e-tutoring suitable and excellent in its function is essential for seeking the exact remedy for your educational maladies through this fantastic mode of learning. What are the 5 facts which are common in virtual tutoring that everyone accepts? Reaching out to every nook and corner of the world: Today, even a person from a rural setting knows how to use a smart phone and get benefited from its apps and features. Tutoring online takes this aspect to its advantage since it has the world wide connectivity through net and is easily accessible from across the globe. An American tutor can converse with a student from Africa and clarify his doubts on live chat within minutes. This reach and easy access is a great thing about this mode of learning making students get help with ease for their learning hurdles. Any time availability: Getting stuck in Math or Physics or in a reading passage is a very common problem. This can occur in any minute at late night while sitting for a test prep or struggling with homework. Online tutors are available at any time without break and their 24/7 services are highly praised for the instant replies they impart to students in crucial hours. Help of subject experts: Parents can support their kids in learning. Dear and near can come to one’s rescue in difficult learning phases. It is only a subject expert with his knowledge in the nuances of the subject can expel any challenge posed by the students. This is essential for weeding out any kind of doubt in student learning and thus strengthening one’s subject skills and knowledge. Affordability: It is not that long term tutoring packages alone are beneficial for kids. Even an hour’s tutoring or homework help can suffice to help students get that information they need to complete their homework. That way, online tutoring sites support kids extremely with their affordable offers for short term benefits. Saving time: Lack of commutation is a great plus point in this system and students feel the ease of learning from their place. Today mobile learning has been gathering momentum lending access of help for students from any place they stay. Thus virtual tutoring has crept into every family for the reach, ease of access, time flexibility, affordability and subject expertise it lends to students. Find online tutor from EduNiche for better advantages. With tutoring online being the buzz word in the educational world, seeking a good company as per one’s priorities is a tough job and it needs a fine probe. Here are some tips for you to follow and choose the best online tutoring service for you. Pick out one that has existed in the field over years: There are many tutoring companies which have mushroom growth of a day and vanish the next day. Having a good background check of the company, seeking references and checking the authenticity of the company’s site details are essential to verify the reliability of the company and its authentic existence in the tutoring field. Pick out one that imparts quality tutoring: Quality is the key to success in the tutoring world and the service should be valuable for the money you pay. There should be quality check and the company should have internal management systems pertaining to quality control. Check the credentials of the tutors: There are companies which offer online tutors who handle various subjects without expertise in any particular domain. They may not able to handle the intriguing learning challenges posed by students and thus will fall short of the expectations of students. Check whether the site you choose provides qualitative tutors who are well versed in their special areas of tutoring and have got sufficient qualification to handle the subject. Price and policy of the company: Rates play an important role in finding a tutoring company of your choice as you should get the best deal for the money you pay. Choose a company that has hassle free terms and policies for registration so that you do not feel awkward afterwards. There are some companies that offer free trial sessions and demos. Choose one such company and if you are satisfied with the demos of the tutors, you can sign in or withdraw at once. EduNiche passes all these criteria and stands tall with its qualifying features in the field of tutoring. One more specialty with EduNiche is that you can cancel your tutoring program at any time if you are not satisfied with the tutor. Connect to EduNiche and find the best for your educational needs. When e learning has occupied the sphere of education with its bounty of advantages, traditional classrooms are slowly vanishing from the memory of students. And also the fact remains that e-learning is in need of some technological support for hassle free learning. Traditional classrooms have lots of barrier for e-learning methods with resistant student mentalities and old school of thought on the part oft teachers. Technological empowerment is also not that advanced that students need some external support in their e-learning process. In this context, accessing private tutoring as an external support for virtual class room learning has been in the educational mode of late. Online tutoring in Fort Worth and other American cities like Chicago, Texas and Baltimore is fast developing and making milestones in its growth. It is due to the mobile friendly nature, time flexibility and learning facilities in online classrooms that make e-learning faster in educational environment. The tutors are subject experts with the exposure of handling varied batches of students with personalized care that they fit in appropriately to the needs of the students. Interaction between online tutors and students is easily facilitated through Skype, white board and live chat help. So, learning tends to be faster, custom made and individualized to bring quicker learning outcomes in students. In the complex scenario of present education, learning online through favorite tutors at one’s pace and connecting to them from even a moving bus is the easiest and quickest way of learning. There too, the one on one tutoring offered by online tutors makes things like overcoming the learning obstacles, accessing homework help and assignment help and getting test prep help before exams extremely possible for students . Thus online tutoring makes e-learning faster than traditional methods. It is the best supplement for e-learning activities in classroom. Education has faced many milestones in its evolution. When it was a disciplined and rigorous curriculum in olden days with traditional classroom atmosphere with one teacher to instruct and many students to attend, today’s educational patterns are entirely different and modern with methods like online education. Traditional education is time bound and teacher centric. The teacher exposes his or her knowledge and handles a large batch of students and thus is unable to show personalized concentration on each student. Sitting in brick and mortar classes with stipulated hours of attendance makes students dull and most of them are not involved in their studies without motivation. This has been the practice in education over a long period of time. Today’s education is mostly through online method. Online education is student centric. It allows every student to learn at his pace and style as the timing is flexible. 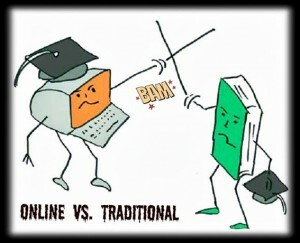 Online learners have shown better records of study than the traditional school goers as per latest surveys. More college degrees are fetched by online learners than the traditional learners. Though physical rapport is not there in online learning methods, Skype and video conferences drive away such shortcomings of online education. Traditional tutoring is out of date, time consuming and involves commutation problems. It is more expensive compared to online tutoring which is the buzz word of present day education. Parents and students prefer virtual tutoring methods for the flexible times, personalized attention and one on one interaction. White board like technological tools also plays a major role in popularizing online tutors. Students interact with tutors, record their tutoring sessions and refer to them for future purposes. Thus methods of education have undergone many changes during the evolution of education and the latest outfit of education is online learning and virtual tutoring.